Boost your phonics power with the Oxford Reading Tree friends. 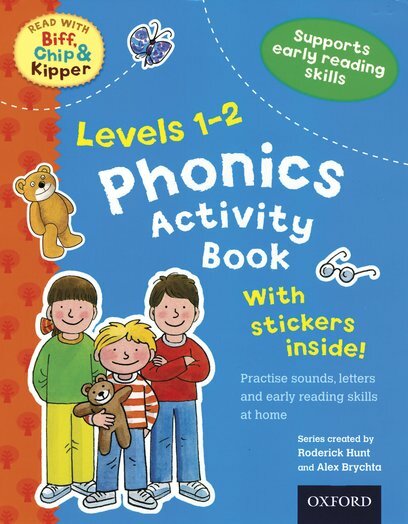 Colour pictures, puzzles, heaps of stickers and all the phonics you’ll need. Biff, Chip and Kipper are here to help you out. And Floppy the dog is also lending a paw, of course. This book is stuffed with stickers and activities – colouring, puzzles, mazes, spotting games and more. And there’s a bonus: all these games help you with phonics, which makes reading much easier. Practise letters and sounds just like you do in school – but with added play!